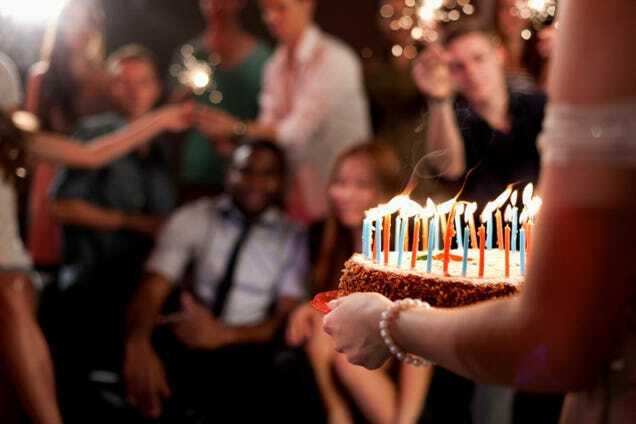 We all have that urge to throw a party every now and again, and what’s better than your birthday to satisfy that urge for a memorable time with friends. However, our parties often tend to route to house parties or the same old timeworn venues we’ve already been to a thousand times. But, you can’t let that happen anymore, as there are some amazing party places in the National Capital that offer you a chance to throw unique and interesting birthday parties. Saving you on the pre-party homework, here we have listed down the places in Delhi NCR which should be your next party venue as a host for an unforgettable party. Kitty Su is unarguably one of the hottest clubs in Delhi. Often a favorite among the electronic-dance-music lovers, it is the perfect place to throw a rocking drinks and dance party. If you have a big enough group, you can even book the entire club, or take their secluded, private champagne room instead. Like the name, this is truly a blissful place. Located in the heart of CP, it has exquisitely grand décor and a massive seating area spread indoors and at the patio. All these different areas cater to different moods, and it is fun to find the perfect one for you. They have a massive bar too along with a vast menu, ensuring that you’re always spoilt for choice! Molecule Air Bar made headlines when it first opened in Gurgaon’s party hub, Sector 29. Known for experimental dining, the bar serves dishes straight out of a chemistry lab. The World War 2 themed setup takes you back to Hitler’s time. They serve molecular food in objects from the chemistry lab, taking fusion food to a whole new level. Offering an unusual lounging experience, Bulldogs is the most recent of all. Classic décor, excellent cocktails and unique bites, makes Bulldogs an enticing culinary proposition when in Hauz Khas Village. The three floors with characteristics of their own, suit every mood. Plus, the concept of The Drink Exchange makes buying drinks a different experience altogether! This colonial era café is situated in central Delhi. Known for its unusual ambiance, funky decor and of course, the vaults, the cafe allows you to party in one of the private vaults in there. Yes, you read it right! They have designed literal vaults or small enclosed rooms that can entertain up to 10 people for a small get-together. All of the above are great options if you plan to throw a night party. We just could not help because the actual happening aspect of the city comes to life only at night. All you need to do is, gather a few friends (better if they’re as adventurous as you), a car (as you’ve to be safe too), a camera (optional if you have a camera phone with good low light photography), soaring high birthday spirits, and a Clicktable booking so that you don’t end up spending more than you should!